Communication is an important part of life. The ability to interact with others gives us independence and fulfillment. Some people struggle to communicate verbally, however and must find other means of expression. Augmentative and Alternative Communication (AAC) is any method of communication a person uses to supplement or replace verbal speech. 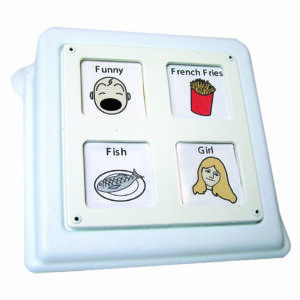 Lite tech and High tech AAC devices, such as those offered by Enabling Devices, make communication accessible by playing recorded speech at the press of a button. The In-Line Direct has four message squares and plays one of the 5-second messages. PLEASE NOTE: This item ships Ground only. Simple four message square communicator is activated by pressing one of four message squares. This best-selling communicator provides space to record and re-record 48 five-second messages on six levels. PLEASE NOTE: CT 8 - 6-Levels #2391 ships Ground only. This handy module is a self-contained recorder-talker which accepts up to 4 switches. Record and play 4 messages, 5 seconds per message. 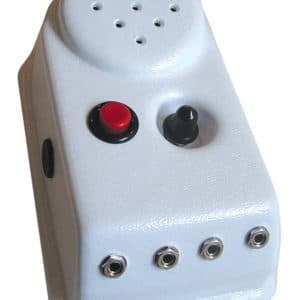 Our Cheap Talk communicators are simple and inexpensive AAC devices used to assist individuals unable to verbalize speech. 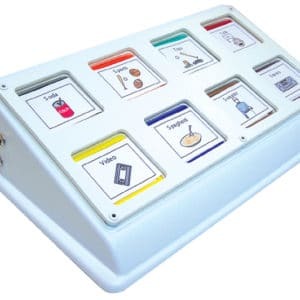 Bestsellers for more than 30 years, these lite tech speech generating devices help to develop communication skills and support interaction. Who Are Cheap Talk Communication Devices Made For? At Enabling Devices, we believe that everyone should have access to the power of speech. As a result, we make our Cheap Talk communicators for anyone who could benefit from a speech generator. 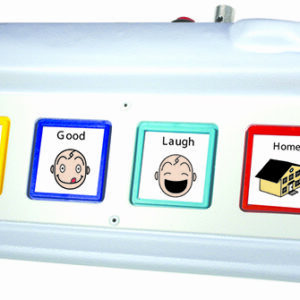 Cheap Talk AAC devices assist users in a variety of ways, supporting communication and aiding in simple language and communication development. People may use a communicator to interact with friends or get someone’s attention from a distance when verbal speech isn’t possible. Some individuals use them constantly, while others use them only in certain situations, such as when they’re talking to a stranger. Access to a communication device — either at home, in a therapy setting or inside a classroom — can provide empowering options for interaction. 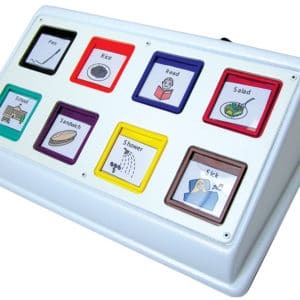 1 Level: This eight-message communicator is perfect for developing simple communication. It provides 300 seconds of total record time. 4 In-Line Direct: Our simplest communicator holds four five-second messages. Use it to develop simple communication. 4 Square Direct: This four message communicator features a square layout and 20 seconds record time for developing simple communication. 6 Level: This bestselling device supports medium-to-advanced communication, providing space for 48 five-second messages across six levels. 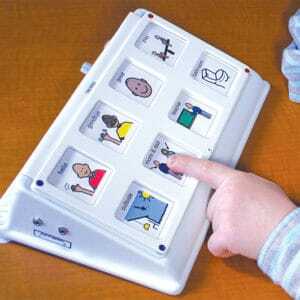 We also offer communicators designed with special needs in mind, including switch-activated and scanning devices. 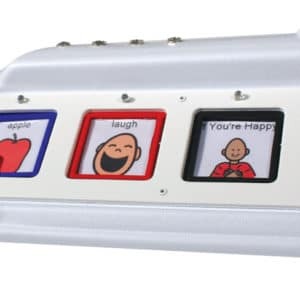 Choosing an AAC device is an exciting stage, but it can also be a challenge. To select the right one, consider the needs of the user as well as the purpose of the device itself. Our Cheap Talk communicators can help you provide the benefits of communication within your budget. At Enabling Devices, we believe that access to speech can have a huge impact on a person’s life. Select one of our Cheap Talk devices or request a quote today.